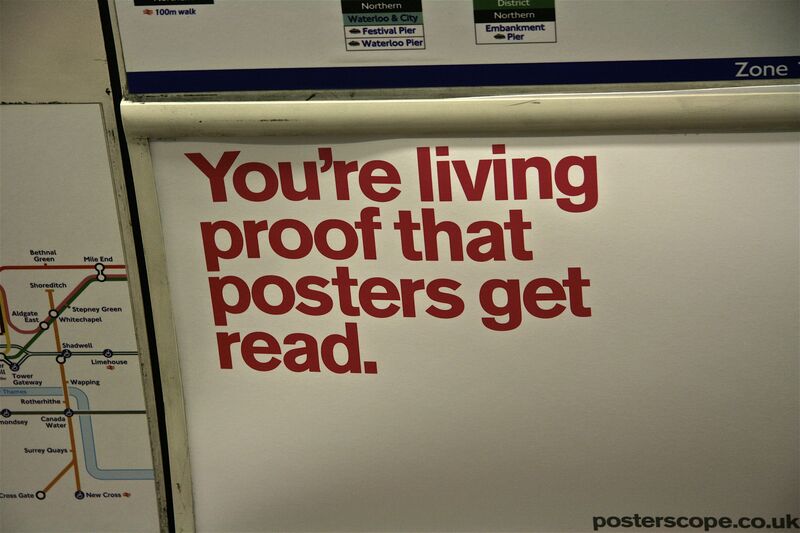 On a recent journey to and from the British Library in London, I was led to reflect upon posters and the act of reading them. On one leg of the journey, I saw a poster in a tube carriage advertising an advertising company – playfully drawing attention to the fact that posters are effective tools of communication. On my return journey on foot along the Marylebone Road, remnants of posters on a phone box drew my attention for their unusual texture. The sight of a billboard just after a poster has been removed is certainly mundane, but contains within it hidden truths about the visual culture of our towns and cities. 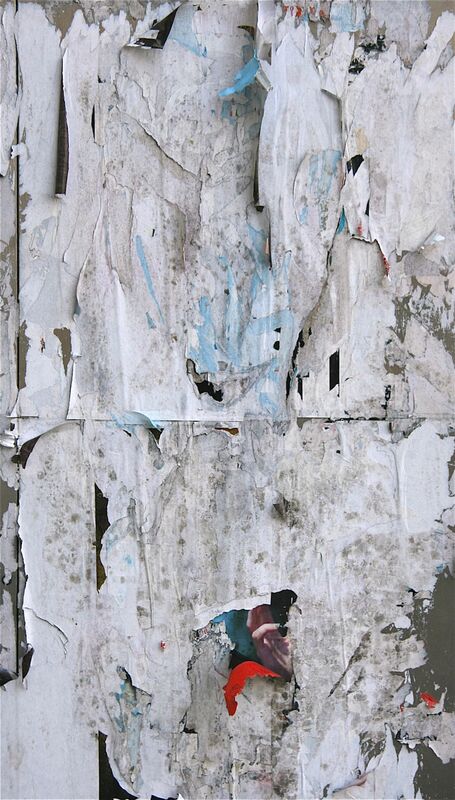 In the decaying remnants of posters we glimpse, for a moment, the tattered layers of time, seen like rings in a tree trunk. Such remnants demonstrate the contradiction at the heart of advertising, that is, it’s focus on the always new that creates, in its wake, a vast waste-dump of the old. As long as new posters are in place, that waste is kept hidden and our focus is on the new product being advertised. 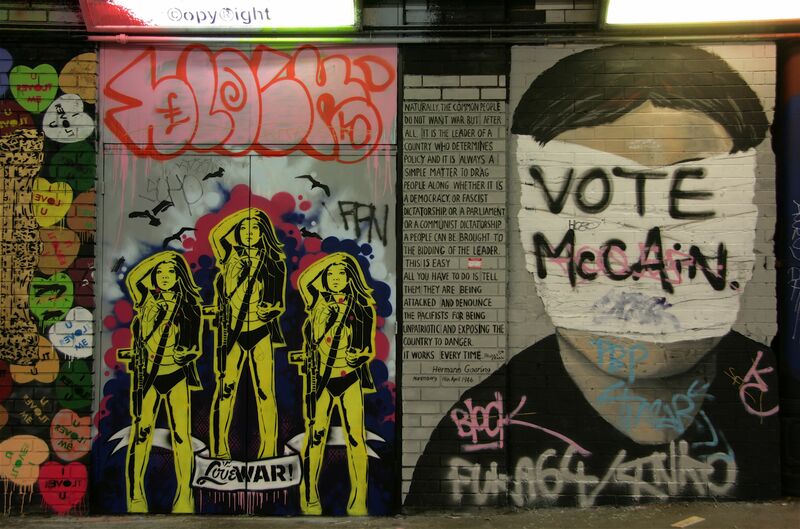 However, once the old posters are exposed we are reminded, in a shockingly graphic form, that those desires have not been fulfilled and never will be. Yet, against this disillusionment, we can also rediscover new worlds: traces of the old that are constantly being either erased or concealed. Such playful curiosity forms the basis of much counter-cultural artistic activity, particularly graffiti, which makes a virtue out of these layers, creating a babel of messages that cannot easily be read but nevertheless mirror the city with its multitude of conflicting voices and histories. Reading graffiti or layers of posters is like grasping a hidden language of the city, one that normally evades everyday perception. 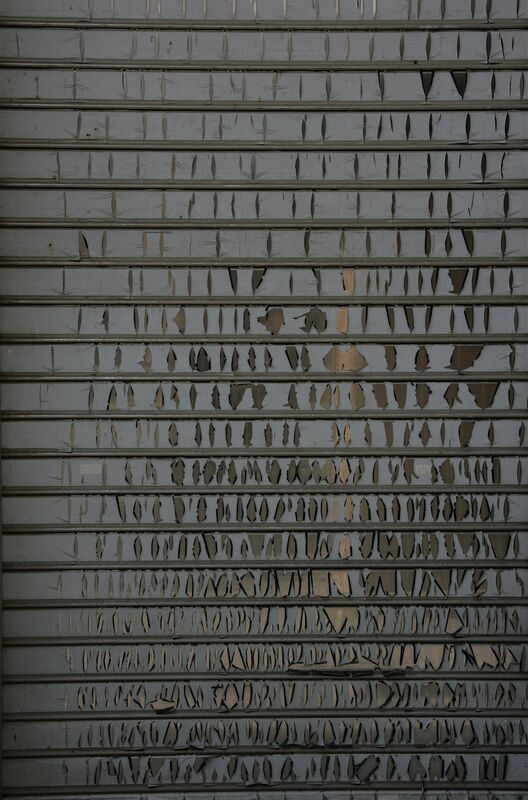 Yet, once we start looking, new worlds open up at every turn: in the ceaseless flows above and below ground; in the obscure stains upon the pavement; or even in the marks on shop shutters, opened and closed every day. In short, everyday life produces its own visual marks that remind us that in the city, like Freud’s definition of the mind, ‘nothing that has once taken shape can be lost, that everything is somehow preserved and can be retrieved under the right circumstances’. I love these things. There were some particularly nice ‘ruined’ posters at Tottenham Court Road station before it was closed. Layers of reds, blues, yellows; so much nicer to look at than the ads. Nice link there. Thanks! Those enormous portraits are great.